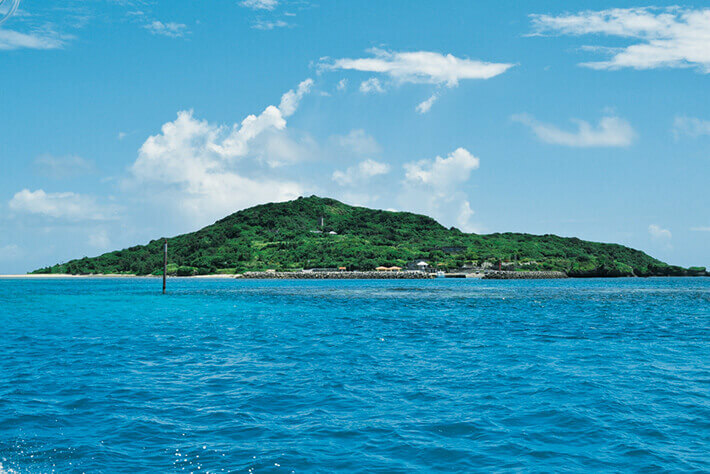 Ogami Island is located approximately 15 minutes by boat to the north of Miyako Island, and can be seen in the sea of Miyako Blue from Miyako Island and Ikema Island. 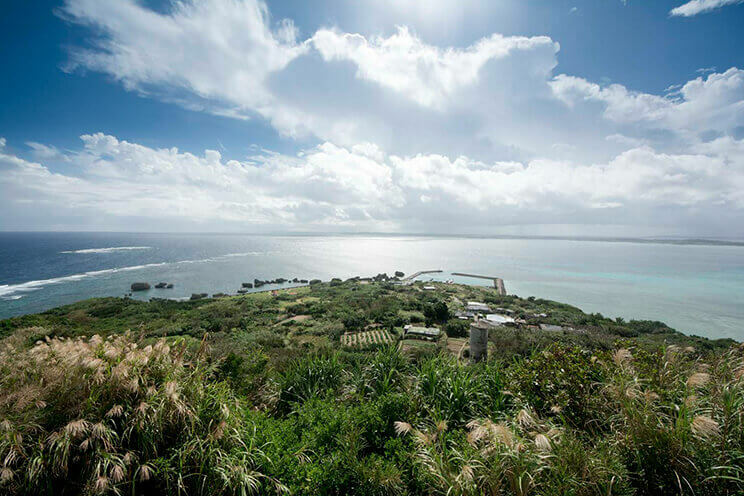 Ogami Island is also known as “Uganjima” or “the island of the gods” and has always been a spiritual place amongst the Miyako Islands. There are a number of sacred sites scattered across the island that have been highly regarded since ancient times, some of which are closed to the public, so it is recommended to find a guide to assist you around the island when sightseeing. When you look at the island from the outside, you can see that it is elevated towards the center like a mountain, although it is a small island. The view from the observation deck at the highest point of the center of the island is magnificent. The observation deck will be off-limits during the Uyagan festivities, which take place five times a year between July and December on the lunar calendar. In addition to the observation deck, there will be other sites that will become off-limits during the festivities, so please check in advance and have a guide with you to assist your travels around the island. 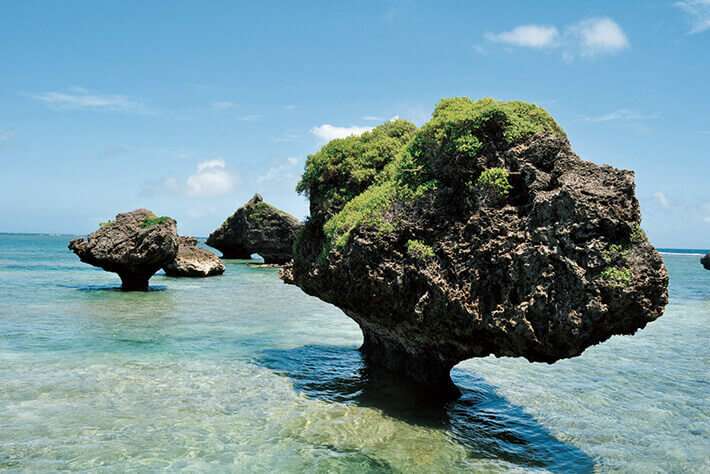 On the west coast of Ogami Island, you will find many strangely shaped rocks known as nocchi. The waters surrounding Ogami Island face the sea where the currents are fast, which causes parts of the rocks below the water surface to erode, resulting in mushroom shaped rocks that can be seen near the shore during low tide. The tide weakens enough in places with well developed coral reef, creating this rare sight that is sparsely seen on the other islands of Miyako. The nocchi rocks continue to erode as we speak, slowly transforming by the moment. One of the specialty products of Ogami Island is smoked octopus known as kakidako. 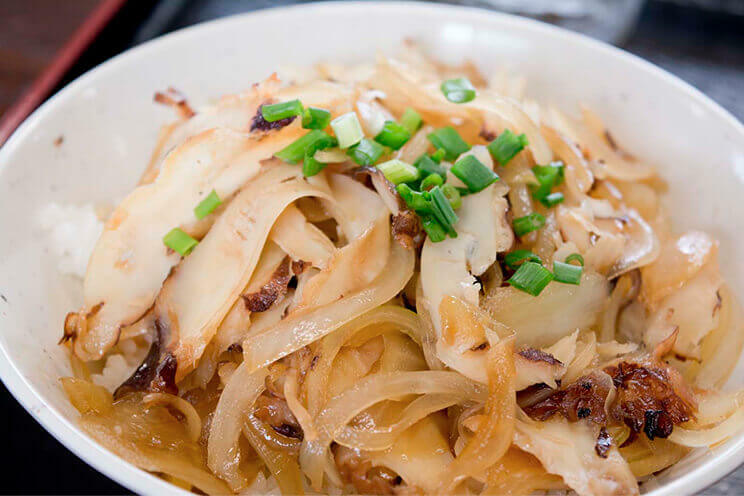 On the small isolated islands, the fishermen cannot go out for their catch during poor sea conditions, so the seafood caught each day has traditionally been smoked and preserved for storing. However, due to improved transportation and the advancement of food preservation techniques, kakidako is no longer as prevalent as it once was. Nevertheless, you can find some at Opuyu Shokudo, the only diner on the island. The local octopus of Okinawa is quite tender, which prevents it from becoming too firm when smoked, giving it a nice texture that will have you asking for more.